No matter your income level, taxes ultimately determine how much you get to keep in your pocket. This is true both during accumulation and retirement phases of life. At Westlake Wealth Management, we believe in a team approach to maximizing tax efficiency. We will work with your CPA on an annual basis to increase tax savings both now and in the future. If you don’t know if you have enough money to retire it could mean one of two things, either you have never had a comprehensive financial plan created for you or you haven’t reviewed that plan in a considerable amount of time. At Westlake Wealth Management this is where we start. We create a comprehensive financial plan that is reviewed and updated on an annual basis. This is crucial as it creates accountability for both the advisor and the client, and ensures progress is being made towards your financial goals. Click or call to schedule a one hour complementary financial planning session with one of our professionals. Don’t worry. Most investors do not know exactly how much they are paying for their wealth to be managed. Everyone knows about the management fee because that is what is shown on your monthly or quarterly statement, but what about internal costs of the underlying investments? 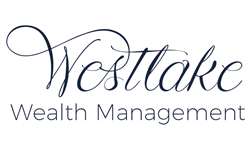 At Westlake Wealth Management we strive to lower not only your management fee but also the internal investment costs. You have worked hard for your money and we believe that you deserve to have professional advice without excessive costs. Click or call to schedule a complimentary fee analysis. Do you know how much risk you are taking with your life savings? At Westlake Wealth Management, we believe everyone should know exactly how much risk they are taking. During our comprehensive financial planning process we create a risk profile based on your goals and time horizon. This serves two purposes. First, this creates expectations for the “what-ifs.” You will be able to sleep better at night knowing that you are not taking excess risk with your life savings. Second, it creates a base line for portfolio rebalancing. Essentially, we will rebalance as necessary to ensure your risk profile stays intact. There are many things that keep people up at night, whether is leaving a legacy, estate planning, selling your business, etc. And everyone’s unique situation means strategies are unique as well. Westlake Wealth Management, LLC is a Registered Investment Adviser. Advisory services are only offered to clients or prospective clients where Westlake Wealth Management, LLC and its representatives are properly licensed or exempt from licensure. This website is solely for informational purposes. Past performance is no guarantee of future returns. Investing involves risk and possible loss of principal capital. No advice may be rendered by Westlake Wealth Management, LLC unless a client service agreement is in place.